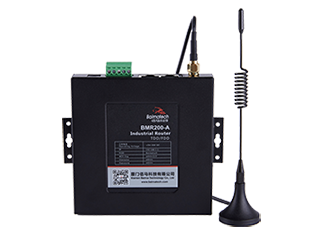 BMG500 Industrial Wireless Cellular Gateway is an Internet of Things gateway which is in line with MQTT protocol standard. 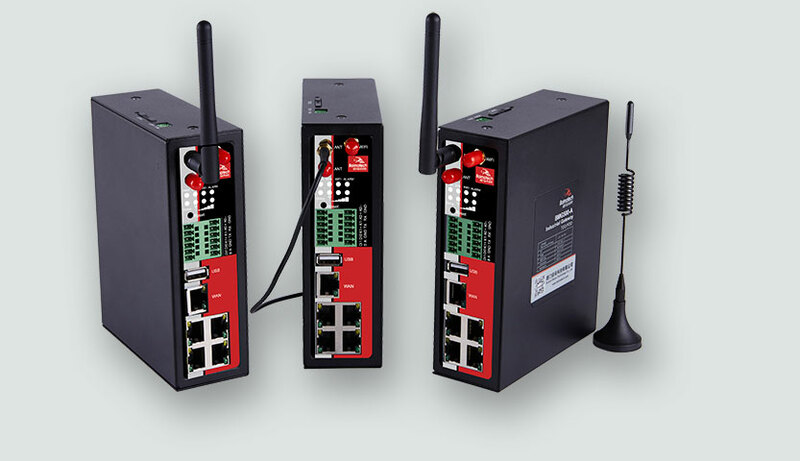 Recently, this series have been certified by CE after rigorous EU security, LVD, EMC, RED and other tests. 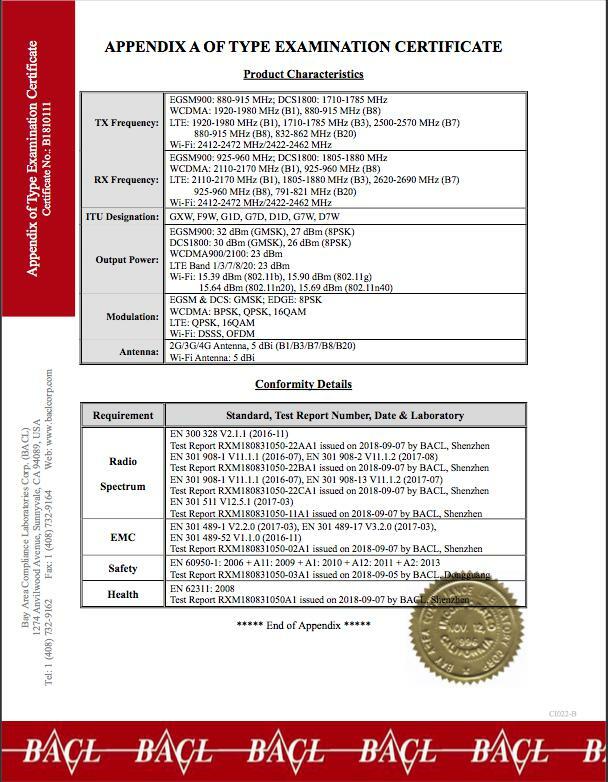 The "CE" sign in the European market is a compulsory certification mark. 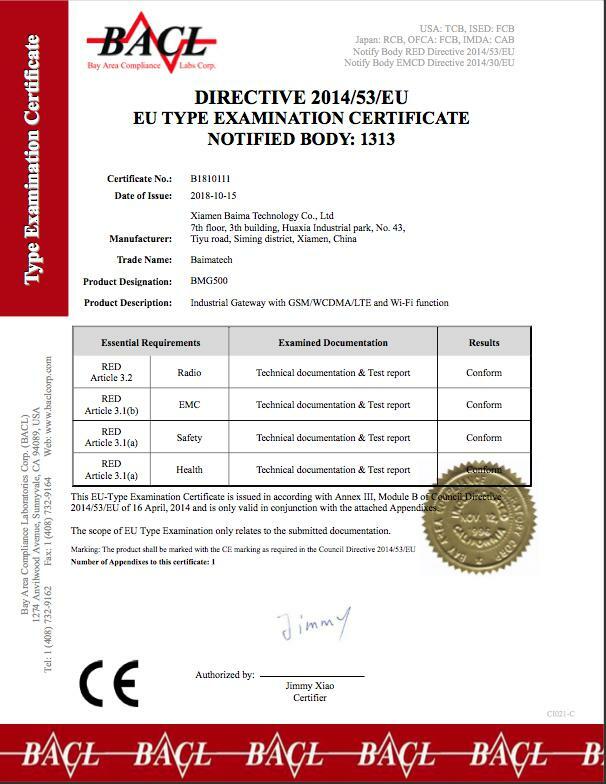 In order to circulate freely in the European market, whether products produced by enterprises within the European Union or products produced by other countries, it is necessary to affix the "CE" sign to show that the product meets the basic requirements of the EU Directive "New Method of Technical Coordination and Standardization". 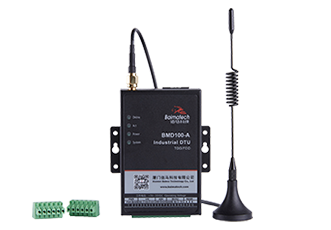 Baima Industrial Wireless Gateway has obtained CE certificate, which indicates that this series of products have obtained the passes to enter the European Union and the European Free Trade Association (EFTA) national markets smoothly, and further consolidate the foundation for the company's overseas market development. 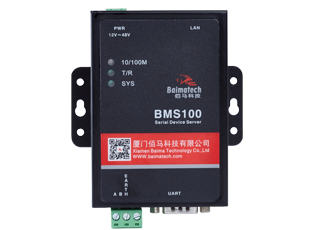 Baima BMG500 industrial wireless gateway support Linux system and python system. 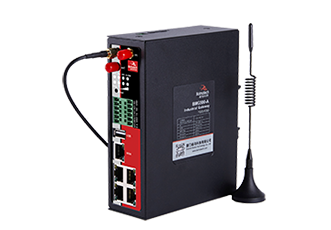 BMG500 integrates data acquisition, protocol conversion, intelligent gateway, 4G wireless communication, data processing and forwarding, virtual private network, local storage, 4G to WIFI coverage and other functions. 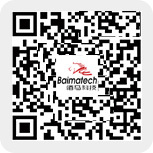 It establishes a general and intelligent Internet of Things channel between monitoring equipment and IT system. 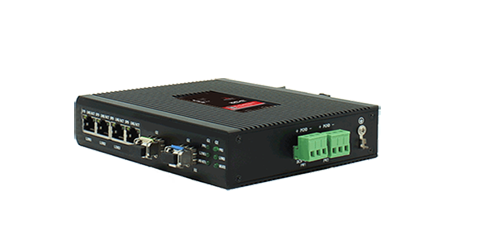 Support 4xLANs, 1xWAN, 1xUSB; 2xDigital Inputs, 2xRelay outputs, terminal form RS485/RS232. 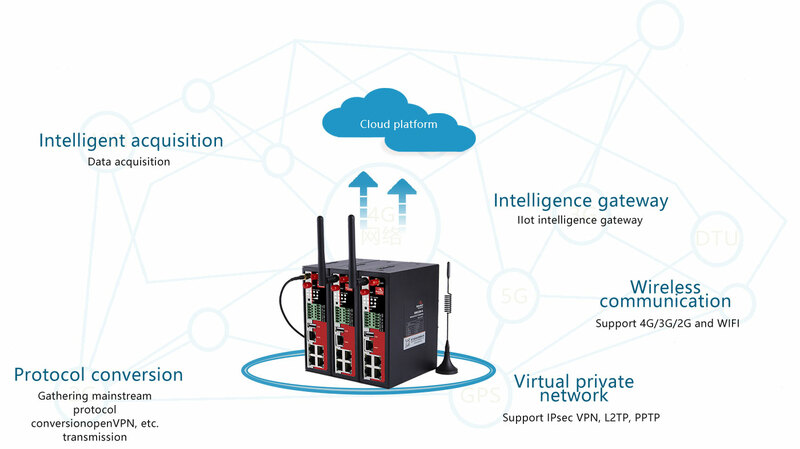 WAN can use as LAN, so that BMRG500 easily expand to five LAN ports.